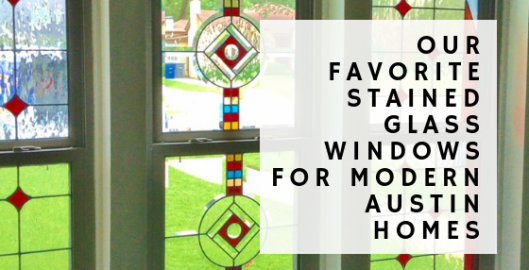 Here are some of our favorite stained glass window designs for Austin area homes. 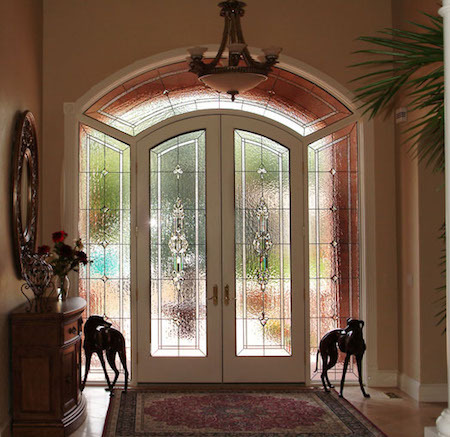 This leaded glass window is an excellent example of a stained glass design that blends beautifully with modern decor. The bevels draw attention to the stained glass with their ornate detail and delicate curvature. Yet the choice in using clear glass is also smart since it prevents the installation from clashing with the rest of the home. 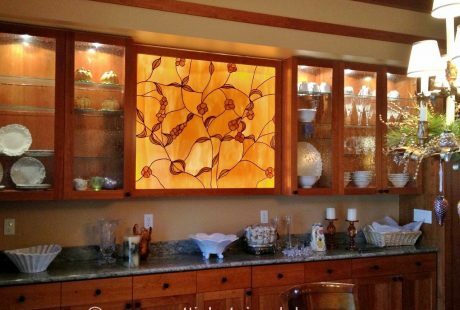 The amber color of this stained glass windows add a touch of warmth to this neutral kitchen and also helps break up the wood material in the cabinets. Nothing says modern like contemporary art. A simple design with vibrant colors creates a focal point in this room and gives it an artistic vibe. 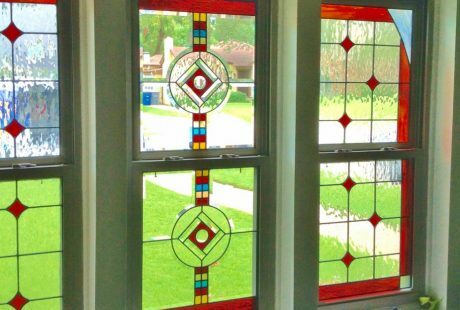 To see more examples of stained glass window designs for modern Austin homes, be sure to check out our gallery! Or, if you’re interested in obtaining your own stained glass window, please feel free to contact our office.